Tree felling dates back thousands of years – it was used in ancient times as an effective space maker, and still is now. It was almost essential for the survival of mankind, as it provided wood for fires and shelter. Tree felling dates back hundreds of years, and was first used to clear areas for farm land, collect firewood and build houses. In ancient times, trees were burned to the ground, which meant it was likely trees could fall in any direction, making it dangerous. Nowadays, we careful plan the direction trees will fall so that objects of modern life, such as houses, gardens and outbuildings don’t get damaged in the process. 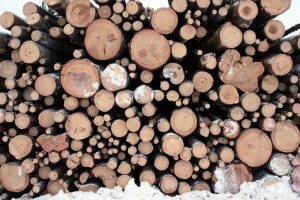 We take on both residential and commercial jobs, and our qualified tree fellers will make sure that your property is protected before the job is done. After this, the axe evolved into a stone tool, like tomahawks. 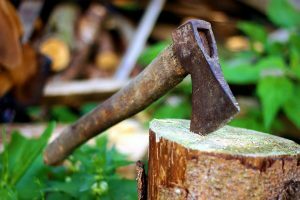 In the 18th century, the axe evolved a wedge shaped blade. This was much more effective in chopping down trees, and had power that made the job easier. Tree felling was also important for creating fuel, as wood was a primary source of energy for a long time. 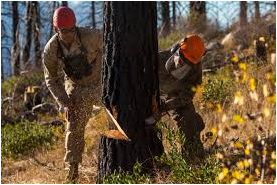 At Complete Tree Care, we have modern and tested chainsaws, which help us get the job done quickly and efficiently. All of our staff are fully trained to use our equipment to ensure optimum safety. We have over 15 years’ experience of in the tree care sector, so you can rely on us to get the job done safely and properly. We hold £10 million of cover, and we’re also local authority approved, so you can rest assured that we follow all health and safety procedures to make sure our jobs is done correctly. We don’t just perform tree felling – our expert team are ready to tackle all of your tree surgery needs. 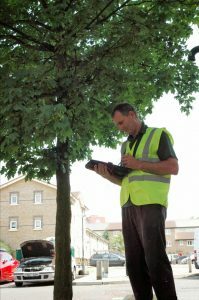 Our tree care specialists are available for work across London, including Twickenham, Hounslow, Ealing and Richmond.